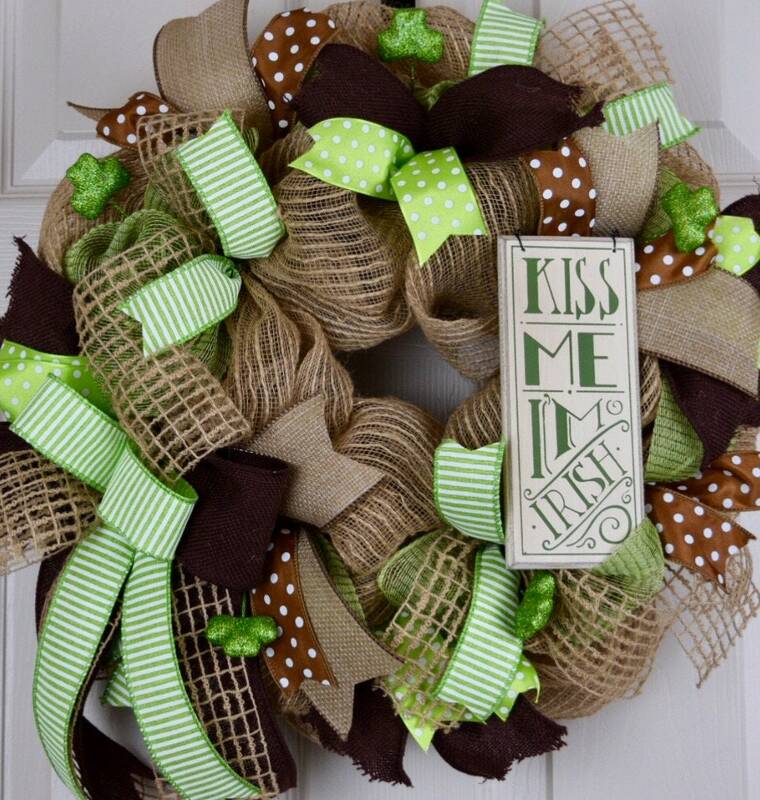 This gorgeous wreath will be the perfect addition to your St. Patrick's Day or year-round Irish decor! 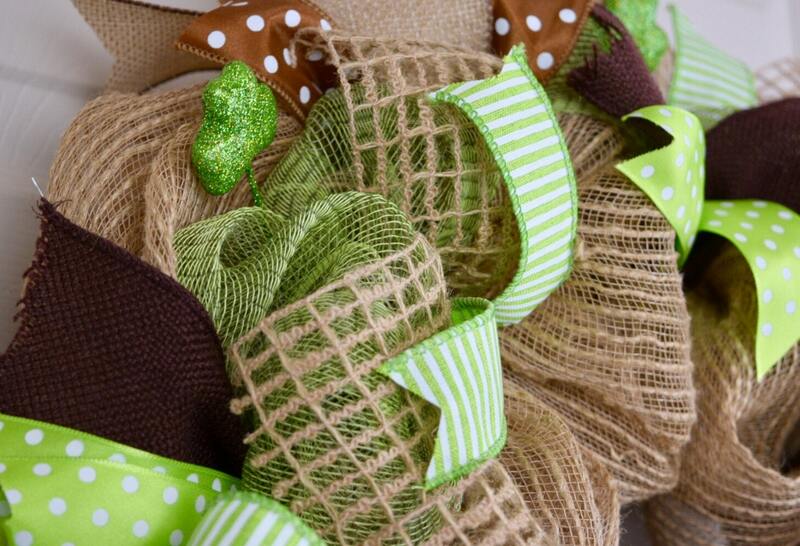 Created with poofs of jute/burlap poly mesh and a two tone green mesh. Ribbon accents are tucked within the mesh, as well as a large bow that hangs to one side. 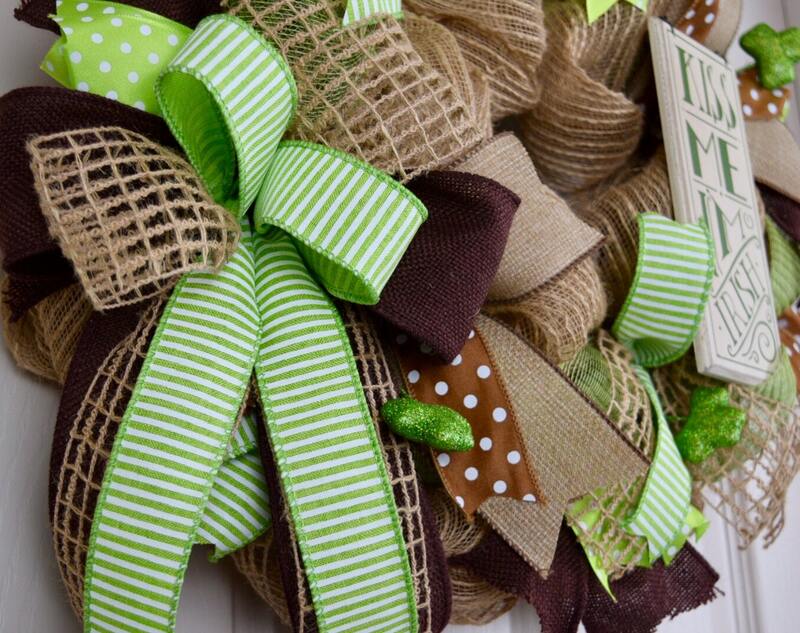 The ribbons used include a chocolate brown burlap, a natural jute box netting, a natural faux burlap, a lime green/white satin polka dot, a lime green/white canvas pinstripe and a brown/white satin polka dot. 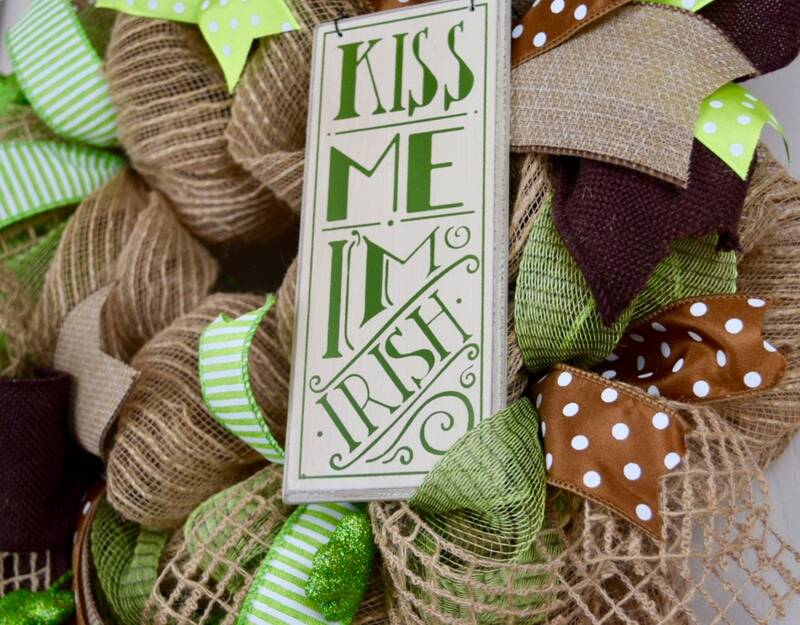 Small glitter shamrock picks are randomly secured around the wreath. 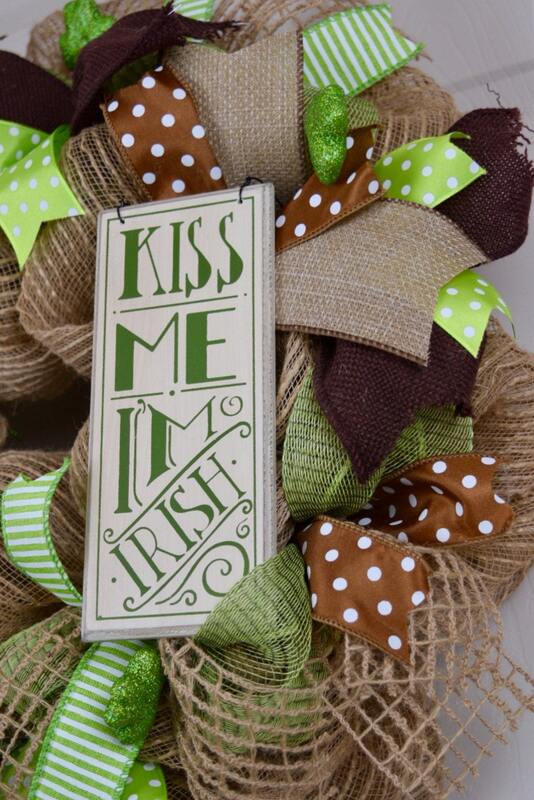 The finishing touch is a small painted wood sign that reads, "Kiss Me I'm Irish". 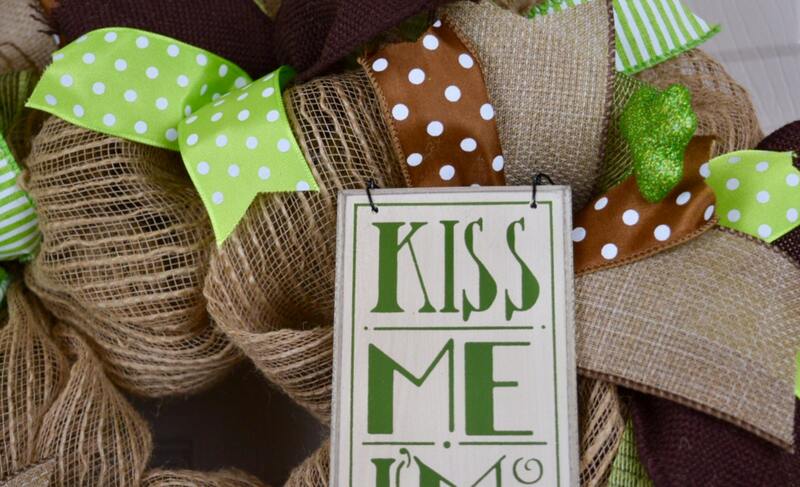 This wreath measures approximately 18" in diameter and 7" deep. Click the following link to see my entire collection.